Last summer, Fadi Agour, BBA ’99 BHP/Marketing graduate of UT Austin’s McCombs School of Business, started his own digital media powerhouse agency for Attorneys. Today, he is the founder and president of FadiLaw Marketing. He oversees all revenue and client operations, as well as marketing and partnerships. He provides leadership on FadiLaw’s legal portal’s legal content and community features as well as heads all product development. FadiLaw provides premium web site, blogging, and online marketing solutions to help law firms optimize their marketing budget and provide their clients with an increased level of information and service. 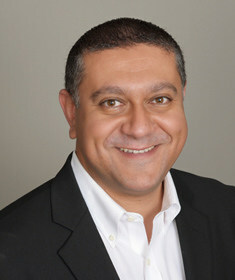 FadiLaw Marketing (www.FadiLaw.com) owns four distinct business units online, all geared for lawyers. Best Case Leads (www.BestCaseLeads.com) was launched last fall and is the only hyper Lead Generation service exclusively catering to lawyers nationally that offers leads for any and all local practice areas and includes the elusive Mass Torts specialty. Best Case Leads has already received numerous awards and is being used by some of the nation’s largest and most prestigious plaintiff law firms. Best Case Media (www.BestCaseMedia) was launched this year and serves as a lawyer’s dream for a legal ad agency, offering everything from PPC, SEO, videos, to blogs and social media. CaseSite (www.BestCaseSite.com) is already establishing itself in Texas as one of the premier website development platforms for lawyers, gaining over a dozen clients in just two months. And finally, FadiLaw which was just released last month, the only true API catering to a lawyer’s online reputation management: www.BestLawReview.com.